These two methods need to be heavy on the data block package unpacking operation, so the high-performance SAN system is the need to install a dedicated server on the unpacking work to reduce the burden on the processor card, this card we called It can provide a fiber interface (if it is an iSCSI HBA card is to provide a common RJ45 interface) for the corresponding switch connection; In addition, the HBA physical you can put it as NIC or PCI-E slot, so the use of this device is very a network card, many people also put it with ordinary network card or ordinary fiber-optic network card confused. Of course, some iSCSI HBA card can be used as a normal network card, but from the price to consider this is very extravagant. The general definition of the HBA is the I / O adapter that connects the host I / O bus and the computer's memory system. According to this definition, like the video card is connected to the video bus and memory, the network card is connected to the network bus and memory, SCSI-FC card is connected to SCSI or FC bus and memory, they should be regarded as HBA. HBA cards have FC-HBA and iSCSI HBA in the future there are other HBA cards, but HBA is usually used in SCSI. Adapter and NIC for FC; NICs are also used for Ethernet and Token Ring networks. In fact, the network card is often referred to as a type of equipment in general, refers to the installation in the host, through the network cable (twisted pair, fiber optic cable, coaxial cable, etc.) and network switches (Ethernet switches, FC switches , ISCSI switches, etc. ), or with other network devices (storage devices, servers, workstations, etc.) to form a network of hardware devices. So, what is the name of the fiber-optic network card in the end refers to the fiber port HBA card? In fact, we often say that the fiber-optic network card refers to the fiber channel network HBA card. Due to the different transmission protocols, the card can be divided into three, one Ethernet card, the second is the FC card, the third is the iSCSI card. • Ethernet card: The name of the Ethernet Adapter, the transmission protocol for the IP protocol, generally through the fiber optic cable or twisted pair and Ethernet switch connection. The interface type is divided into optical port and electrical port. Optical interface is generally through the fiber optic cable for data transmission, the interface module is generally SFP (transmission rate 2Gb / s) and GBIC (1Gb / s), the corresponding interface for the SC, ST and LC. The current interface type is RJ45, used to connect with the twisted pair, but also with the coaxial cable connection interface, but now has been used less. • FC card: generally also called fiber optic card, scientific name Fibre Channel HBA. The transport protocol is a Fiber Channel protocol and is typically connected to a Fiber Channel switch through a fiber optic cable. The interface type is divided into optical port and electrical port. Optical interface is generally through the fiber optic cable for data transmission, the interface module is generally SFP (transmission rate 2Gb / s) and GBIC (1Gb / s), the corresponding interface for the SC and LC. The interface type of the electrical interface is generally DB9 pin or HSSDC. • ISCSI NIC: The ISCSI HBA, which transmits the ISCSI protocol, has the same interface type as the Ethernet card. 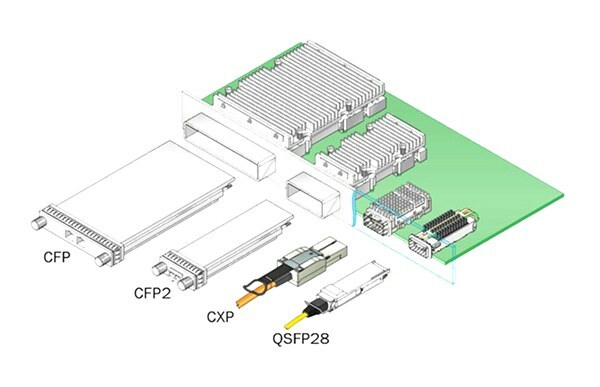 "Fiber-optic network card" generally refers to the FC HBA card, plug in the server, external storage with the fiber switch; and optical Ethernet card is generally called "fiber Ethernet card" is also inserted in the server, but it is an external Optical Ethernet switch.